In Fela’s Afrobeat, 3 or more conga players were counted among the percussionists. Two (or more) of these played “Rhythm Conga”- adopting the role of support drums in tribal ensemble music. Each drummer held down an unchanging tumbao on one full-sized conga drum, helping to weave the hypnotic polyrhythmic foundation on which the melodic instruments floated. The remaining percussionist played “Lead Congas”- a set of 3 small Yoruba congas, known as Akuba. These drums are part of the “Odigo” ensemble of drums, related to the Gbedu, (often replacing bata in neo-traditional ceremonial usage) . They are tuned major thirds apart, and have a pleasing organic woody sound. In Afrobeat context, these drums are played with sticks, and adopt a lead or master drum role- free to improvise (in the jazz sense), embellish, highlight, add tension, direct/respond to dancers, as well as play highly melodic, & less rigid ostinatos. This player also usually had a set of 3 bells (mounted African gongs or cowbells). 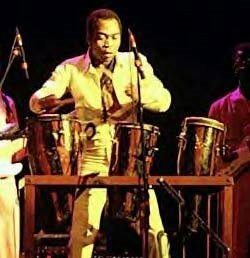 Fela often took solos on the Akuba drums in his later career (see “Fela Live”). The beginning of J.J.D. 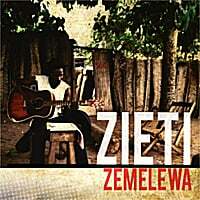 features an intro solo on the Akuba. Femi Kuti replaced this lead conga set with bongos and timbales. Check out Lagbadja’s website for more information on Akuba.